The Romanov dynasty met its unhappy end almost a century ago in a bunker in Yekaterinburg – but descendants of the last Tsar hope they can still exercise some political influence. On Monday Russia’s investigative committee announced that it was closing the case on the murder of the royal family, who were shot in the Ural city amid fears it would fall to the Whites as the Civil War raged in 1918. For many the news merited little more than a shrug: the fall of the Tsar feels like ancient history, and Russia’s cops have rather more pressing contemporary killings to investigate. But the scions of the Romanov family are not convinced and have demanded the files be reopened. A major problem revolves around identifying the royal remains. During Soviet times they were officially hidden, but an amateur archaeologist uncovered them in 1979. Two years later the Orthodox church in exile recognized the imperial family as martyred saints. After the fall of the USSR the Romanovs’ last resting place was confirmed as Ganina Yama, a woodland district about 20km from central Yekaterinburg. A monastery was built on the site, and the relics were transferred to the Tsars’ mausoleum in St. Peter and Paul cathedral in St. Petersburg, where they were given a full state burial in 1998. 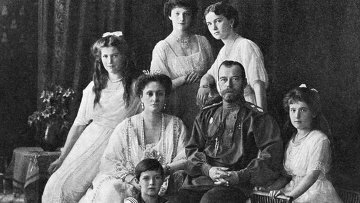 But the family – and the Russian Orthodox Church – is doubtful that the bones in Petersburg belong to the Romanovs. “Until now the church has found no grounds to accept the Prosecutor General’s conclusion that the remains belong to members of the Tsar's family, canonized by the church,” Alexander Zakatovym, director of the office of the House of Romanov, told Komsomolskaya Pravda. “If these are the true remains, they automatically become holy relics to the Orthodox people, but while questions remain and there is no complete clarity, neither the Church nor the Imperial family can make such a statement. Investigators have already been ordered to re-open this case once before – last year Moscow’s Basmanny District Court overturned a previous bid to close the books. And Zakatovym hopes that history will repeat itself in the likely event of an appeal launched by Grand Duchess Maria Vladimirovna and her lawyers.